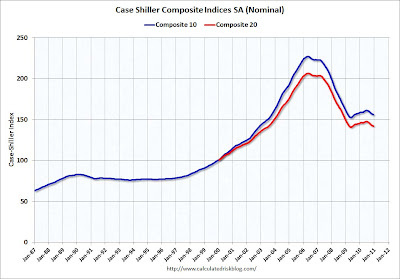 Case Shiller released the home price index this morning for the month of December, which is an average of October, November, and December. The index was down 3.9% in the fourth quarter and shows the month over month declines accelerating. 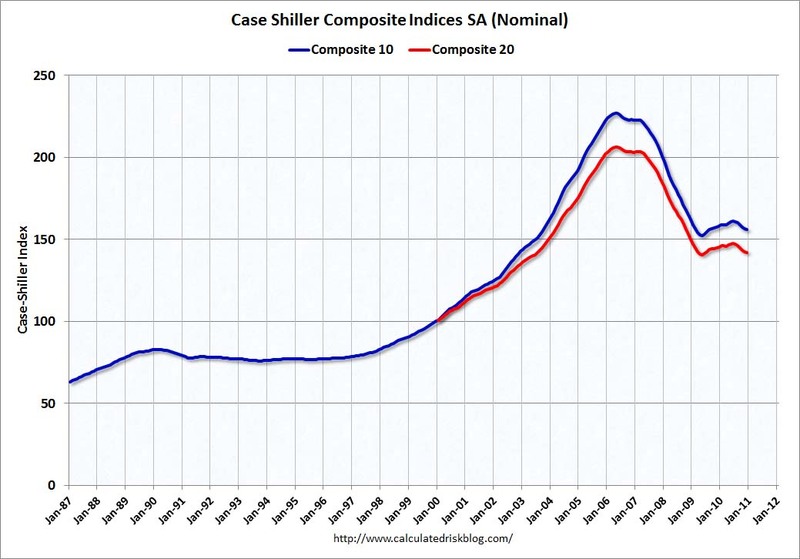 11 cities reached new post bubble lows, and the index is now down 31.2% from the bubble peak.